All if you haven't already upload your project to NGAs Github so future participants can build off of it. When they do bang, you'll get a check. The judges have weighed in, and our community has voted! 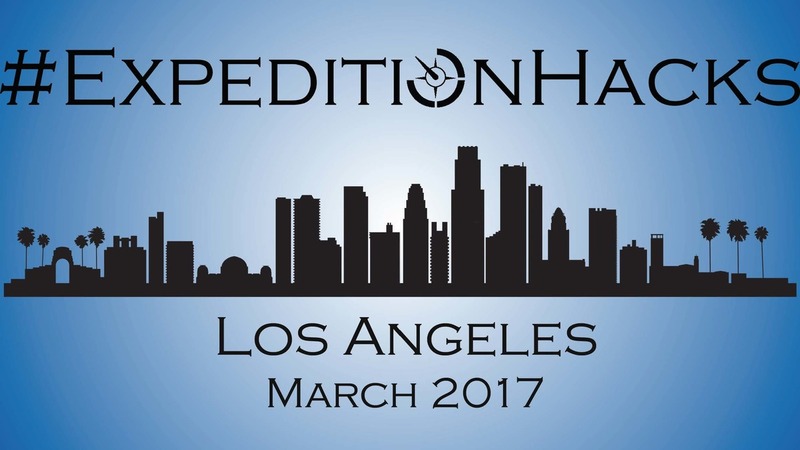 Go to the ExpeditionHacks LA 2017 gallery to congratulate the winners and check out all of the awesome submissions. It's getting close and we wanted to get it out there to make sure you're on the SLACK channel. Lots of information gets passed there. You can also collaborate with teammates or look for some! If you haven't registered on Eventbrite, you'll need to do that so we know you're coming. Hate to run out of burritos because we didn't know you were coming. Bring your resume if you're looking for a new career. NGA, Vencore, and others will be there looking for you.